I am reading "The Shining" again for the first time in thirty-five, thirty-six years. Amazing how far author Stephen King has come, and so odd to see simple wording and point of view errors he would never make today. It is also something to marvel to read a simpler King, but also what may be a more sinister King. 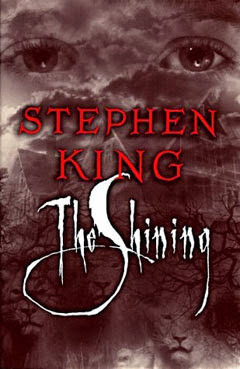 Back in 1977, I started reading the big hardcover version of "The Shining" first, which my mom had borrowed from my book enabling big sister. It seemed like a historical romance from that cover, almost giving off a "Dallas," "Dynasty" or sweeping John Michener vibe. There was the big hotel on the front (and back) cover looking almost similar to Tara from Gone with the Wind, painted images of the man, the woman, and the child, and the hedge animals. My sister needed her copy back, so then I bought the paperback at the local grocery store. 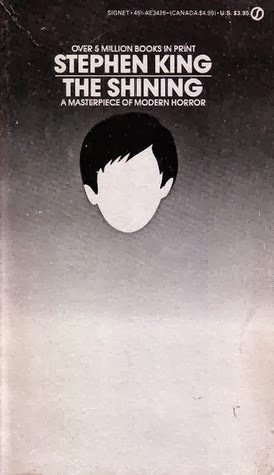 That was a gray book with a blank boy's face on it, and that's the copy I still have today. I remember plowing through it rather quickly, on the front porch swing during the days, and in bed before sleep, which defiantly came. This was King's third book, chronologically at least, and I'm pretty sure I knew he was something special even then, that he was subversively teaching me writing skills and techniques. All that and he was a joy to read. And what attracted me most of all, was that he wrote about writers. There's the interviewer in "Carrie," Ben Mears in "'Salem's Lot," and now Jack Torrence. I could relate, and now I was hooked for a lifetime. Both my own and King's, as writers would continue as protagonists and even antagonists for dozens of novels to follow, notably the nebulously aligned Harold Lauder in my favorite King novel, "The Stand." The young Stephen King plays fast and loose with perspective and point of view I've noticed. As an editor (and yes, I know how presumptuous this is), there are more than a few things I would have corrected in the book regarding POV. Let's just say, he did get better. Much better, or at least as good as one of the best selling novelists of our era can be. Young Danny's perspective and understanding of things is a puzzle of complexity. Does he know and understand because of his psychic abilities? Or does he for the sake of storytelling? King walks a very fine line here, most times opting for the latter, and weaving a tighter more terrifying tale for the reader. There is one difference I noticed in my Nook copy of "The Shining" however. The word REDRUM written in a graphic in my original paperback copy of the book, but not in my Nook copy. It was missed. 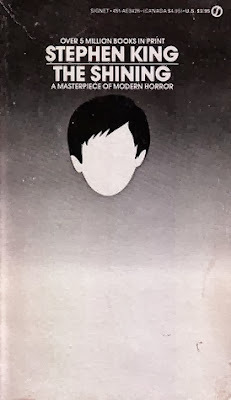 Back in the day, tricks like that, raised and/or cut out covers, or the multiplying flies above chapters in "The Amityville Horror," made books in the late 1970s a little bit more special. There is also the matter of Jack Torrence's alcoholism. At the time "The Shining" was released the public was unaware of King's own struggles with old devil drink. This fact in retrospect lends a frightening realism to what was already horrific in the book. We knew King was a teacher, spent time in Colorado, but now, we can't help but wonder… was he abusive as well? Dare I ask - did he harm his wife and family? Just how autobiographical is "The Shining"? 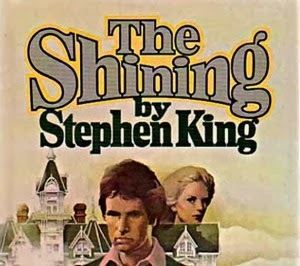 King has always made the distinction with Stanley Kubrick 's film version, that he had written a book about a haunted house, but the director made a movie about domestic violence. What if he protest-eth too much? What if King insisted on that because Kubrick hit too close to home? My intent is not to make accusations, mind you, but to report the extra dimension facts about the author's life bring to the work. It certainly made some of it uncomfortable to read. The sequel to "The Shining" has been a rumor that has floated around for years. 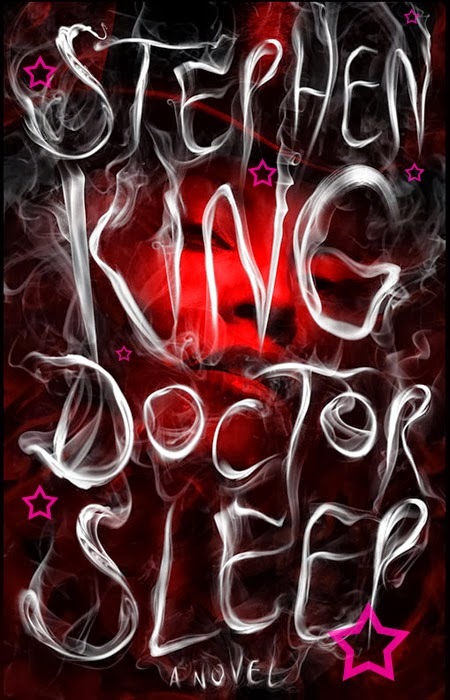 It became just a little bit more real when Kung finally gave it a name, "Doctor Sleep." When he wrote it and announced a release date, then things got hot. "Doctor Sleep" is scheduled for release today, and there's also a preview at the end of my Nook copy of "The Shining" as well.